Can you think of something we have at this time of year that has people quite so divided as sprouts? I hated them for years. My brothers still do. But since you’ve got this far I’m going to assume you quite enjoy them. 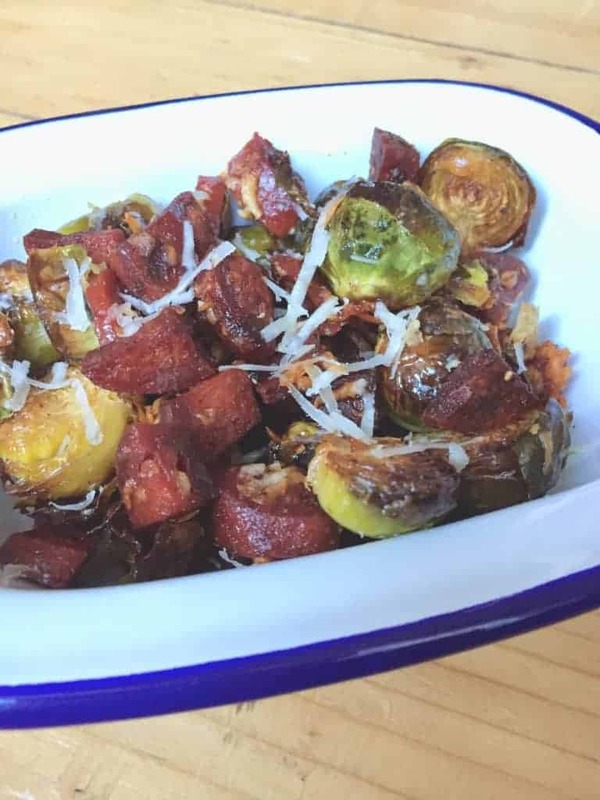 It’s easy to have plain old sprouts, or add in chestnuts or pancetta, but if you are looking for something a little different then take a look at my roast brussel sprouts with chorizo and parmesan come in. 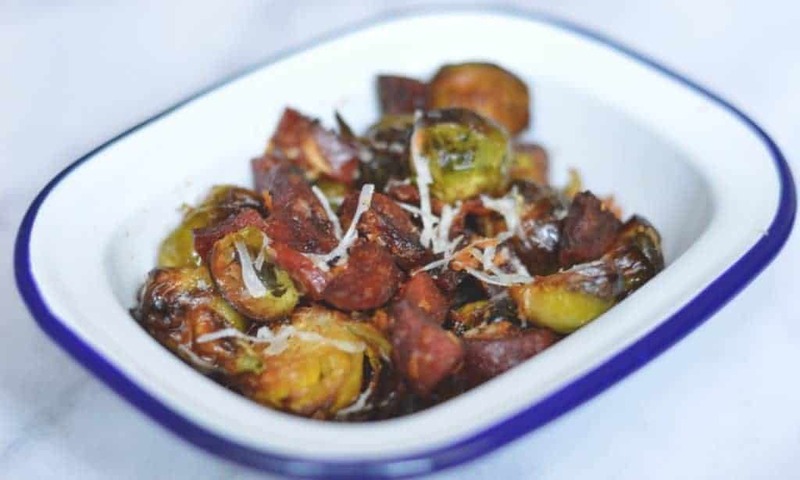 These sprouts are a slight departure from the common pairing with pancetta and a frying pan, instead using chorizo, parmesan and a roasting tray. To me this changes so much about them and in such an appealing way, that you will want to have them all throughout winter, and not just for Christmas. Cultivated as far back as the Romans (a little light research suggests it was the Romans that spread their cultivation around Europe), these little cabbage-like vegetables are actually in season most of the autumn and winter. 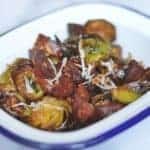 With varying varieties throughout the winter months, these roast brussel sprouts are a dish you can have whenever you feel the need. 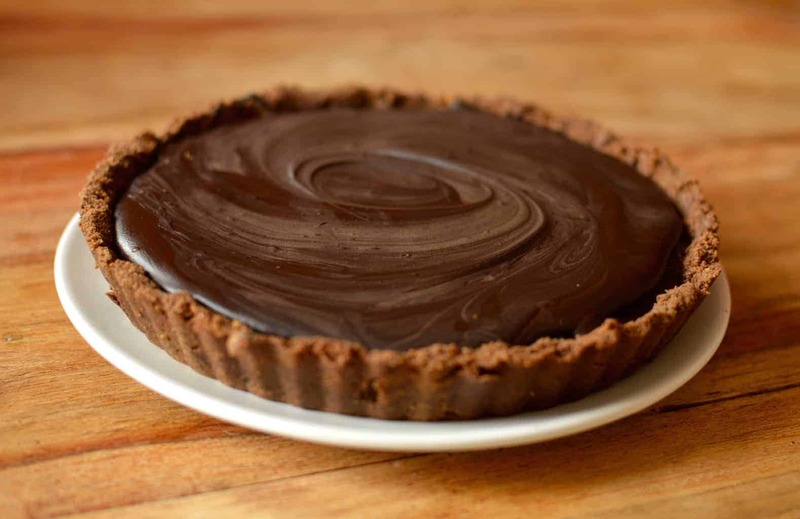 Need more reasons to love this dish?